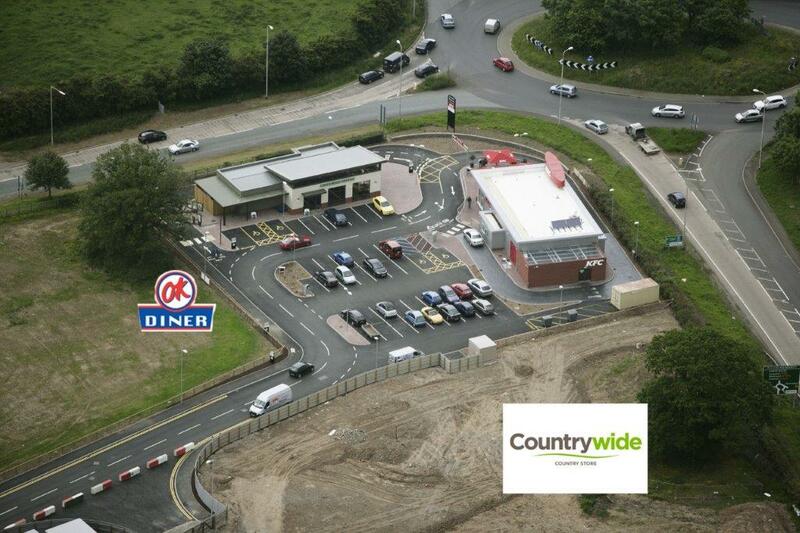 J-Ross Developments has started building out two plots for Countrywide Stores and OK Diner at its Oswestry Gateway Development. Oswestry Gateway is already home to a Premier Inn, Table Table Restaurant, Starbucks and KFC. The two new occupiers will further enhance the profile of the scheme and will complement the existing uses and operations on site. J-Ross Developments is also on site with OK Diner, an American themed restaurant, which will be constructed next to Starbucks it is anticipated that both schemes will be completed and handed over to each occupier before the end of this year. The current developments, together with the proposed extension to the Premier Inn, will leave just over 2 acres of serviced development land, which is currently being marketed by J-Ross Developments agent’s Legat Owen.